The National League Central race just got a lot more interesting, as the Milwaukee Brewers have made a massive trade. As first reported by The Athletic’s Ken Rosenthal, the Brewers have acquired outfielder Christian Yelich in a deal with the Miami Marlins. The return to the Marlins is unknown at this point, but Yelich is an instant upgrade for a Brewers team that kept things extremely close with the Chicago Cubs in the divisional race last season. 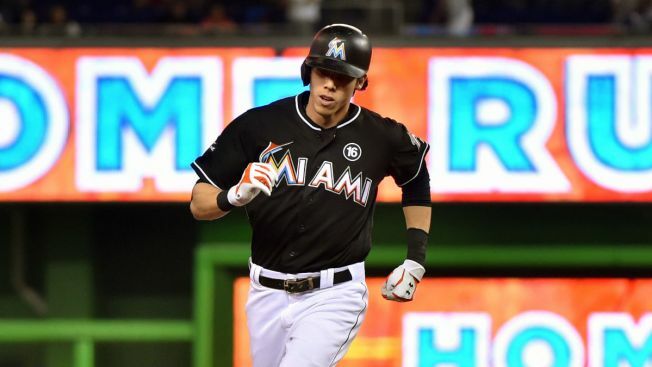 Yelich hit 18 home runs and 81 RBI for the Marlins last season, and is just the latest high-profile player in the organization to be traded in recent months. Outfielder Giancarlo Stanton, who reportedly was interested in coming to the Cubs, was traded to the New York Yankees, and outfielder Marcell Ozuna was traded to the St. Louis Cardinals in another deal that strengthened one of Chicago’s rivals. The Cubs have made it a point to address their bullpen and starting rotation this offseason, but have yet to make an impact move in their lineup. The team is still debating on what to do about a lead-off hitter for the coming season, with everyone from Kris Bryant to Kyle Schwarber having been floated for that role.